Vincent (Kalu Ikeagwu) and Vanessa (Queen Nwokoye) are happily married with a young daughter. They would like more children but the doctors have told her that it is risky. 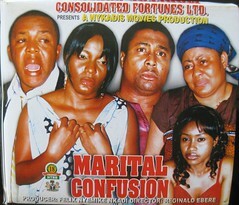 Angelina (Mercy Johnson) too is married and happy except for the lack of a child. She is distressed over her childlessness after two years of marriage. Her husband Frank (Browny Igboegwu) is supportive and reassuring and soon tests reveal that it is him that is sterile. One fateful a car accident occurs involving both couples where both Frank and Vanessa are killed. Angelina comes around 3 months later but has no recollection of the life she left behind. Soon enough she moves into Vincent’s neighbourhood and they begin to get to know each other. 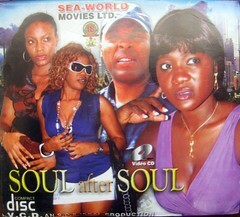 Nollywood Movies Review: Mercy Johnson plays Nneka a poor village girl. One day she runs across old school friend called Rosemary played by Queen Nowkoye who pays her sisters hospital bills. Indebted and wanting to provide for her family Nneka follows Rosemary to the city and becomes makes her transformation as Rihanna a runs girls. 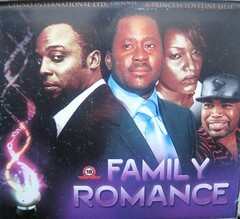 Nollywood Movie Review: Tony played by Jim Iyke is due to wed Judith played by Queen Nwokoye and his mother is overjoyed. She cannot wait to welcome her daughter in law into the family, however the wedding plans look to be in jeopardy as Tony cannot seem to put a curb to his cheating womanising ways. 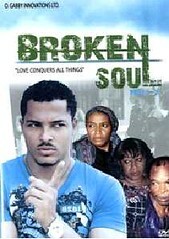 Max, played by Van Vicker is Tony’s best friend. He moves out of his family home and goes to live with Tony, all the while searching for work. While living with Tony Max comes to find out that his friend is a serious womaniser. Things come to a peak one day when Tony is busted by his fiancée with another woman, and a shock is in store for Max when he meets Tony’s fiancée. She is a blast from the past that he never expected to see again. 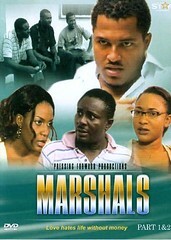 Nigerian Movie Review: Derek Douglas played by Van Vicker is a huge celebrity actor. 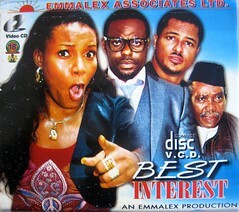 A date with one of his female fans Lily played by Bimbo Akintola is the start of big drama. He decides to surprise the fan by turning up to her hotel room to take her out for dinner. 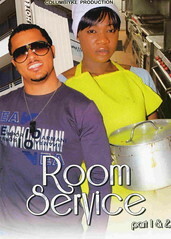 Little does he know that the one he chats to on the internet called Miss Spiffy was not in the hotel room that day but rather the maid Gina, played by Mercy Johnson who was trying on her clothes. They end up going on a date together and so starts the web of deceit. Mr Phillips played by Chiwetalu Agu is the school teacher responsible for awarding a much coveted scholarship to study at a university in the UK. Teddy is the brightest boy in his class but it looks like Mr Phillips is going to fix it so that another student, Victor who is a failing receives the scholarship instead. This is because he has a relationship with Victor’s parents and has been receiving money from them. Mr Phillips provides Victor with a cheat sheet to copy from in the examination room to ensure that the plan does not fail. We get to see what exactly the consequences are when exactly that happens. Chief Desmond’s wife Natasha is so preoccupied with work that she barely has enough time for her family. One day she leaves without telling him to go and represent in a big case in Abuja. Fed up, in her long absence he remarries a much younger local girl called Matilda. Matilda’s presence in the family home brings about much discord. His children are incensed that their father has married a girl that is younger than them all and treat her with much disdain. Besides doing runs the other thing the girls have in common in their love for DJ Koko. He is the hottest DJ in town and they all love his music. Princess is the most obsessed with him. She loves him beyond the music and has created a fantasy life between her and DJ which she relays to the other girls. She is willing to do anything to make DJ Koko hers, but the question is how far will she go?